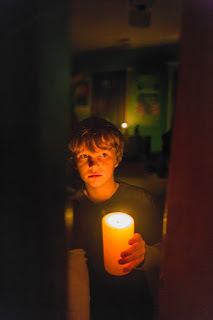 Child Actor Gabriel Bateman Braves the Dark in "Lights Out"
Chid actor Gabriel Bateman stars as Martin who is dealing with the same malevolent force that drove her older sister from home at 16, in New Line Cinema's “Lights Out,” a tale of an unknown terror that lurks in the dark. Gabriel Bateman is the youngest of nine children. He comes from a creative arts family and has already become a well-rounded and seasoned actor with over a dozen credits in network television, studio and independent film. Bateman has experience in a wide variety of genres from comedy and horror to drama, making him extremely diverse. He is most recognized from his heavy recurring role on the show “Stalker,” as Ethan, the son of Dylan McDermott’s and Maggie Q’s characters.